Offering Massage Therapy to Fort Saskatchewan, Strathcona County, Edmonton and area clients. Many wonder "does a massage really help?" and the answer is most often "yes!". 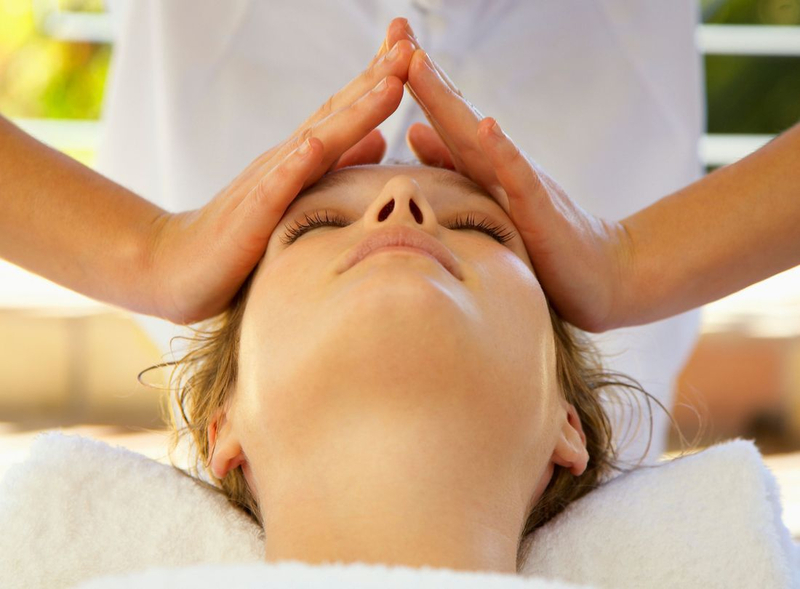 Massage is known for reducing stress, muscle tension, and pain. It can also improve the immune system, posture and bring balance back to the body. Our Registered Massage Therapists are equipped to customize each massage based on individual client needs, specializing in therapeutic, pregnancy, deep tissue, relaxation, hot stone, trigger point therapy, and sports massage. We offer Massage Therapy from Registered Massage Therapists (2200 hours) and discounted massage therapy services from non-2200 hour Registered ​Massage Therapists. See below for information on the various types of massage therapy treatments we offer. This type of treatment is geared toward resolving specific acute or chronic pain conditions. It involves a variety of techniques, including light or deep pressure, fascia release, and/or stretching with active resistance. Your practitioner will work with you on a treatment plan to get you toward your health goals. We offer a Pregnancy cushion that allows room for your tummy to fit comfortably or our therapists can do a sidelying massage (laying you on your side). Our tables also semi-recline and can also elevate the lower leg table area so that you can feel comfortable semi-reclined. Receiving Massage therapy is safe and beneficial during pregnancy. Many women enjoy the skilled care of a massage therapist to help alleviate back, neck, and shoulder pain associated with changes in the body during pregnancy. The general benefits of increased circulation and enhanced well-being are valuable therapeutic effects. If you are an athlete in training or if you are pre- or post- event, massage can assist with increasing performance, decreasing potential for injury, and assisting with mental preparation. Sports massage involves prepping the muscles for an event and integrating it with a training schedule, and it also uses specific techniques in order to restore and recover muscle health. Using techniques from a regular massage, therapists work with hot stones in order to gain greater depth in the muscle tissue. The heat from the hot stones also offers warmth and stress relief. This can help toward greater pain relief and better sleep. Be sure to hydrate post treatment. This massage treatment is geared toward addressing chronic soft tissue tension. It may involve pressure at specific points of the body or a deep overall massage pressure. The goal of the treatment is to address any sources of pain as well as any alignment concerns. These treatments can at times be uncomfortable but it should never be to a point where you feel you are in so much pain, you'll leap off the table. Always feel invited to communicate with your practitioner during the treatment. The ultimate de-stress massage. Techniques used in this type of massage are smooth, soothing and gliding to help you relax. The massage therapist will move at a slower pace and a lighter pressure and will most often (unless instructed to) not address pain points in the body. During this treatment, you are welcome to breathe and even fall asleep. If you don't have an insurance plan that covers massage therapy, take advantage of our non-2200 hour massage therapy services. These deeply discounted treatments are provided by massage therapists who are completing their educational training. A great massage for less! This service is not available for direct billing to insurance plans and is therefore deeply discounted. For more information about our RMT's click below. Well I am not one to usually say too much as eventually you may have a hard time to get a choice booking as you help steer business their way; but I must ! I will be starting my 4th year of receiving massage therapy at this establishment and have never had a reason to complain. Quite the contrary. It has been great. From reception to therapy and back again are all dealt with in a professional, courteous manner. The treatments have done more than I expected and have helped to keep me from seeking medicinal remedies and many times other types of treatment. What can I say. Pre surgery, I was able to get much relief of pain and immobility. I never once felt like my needs where too much. Post op. Well I have more steel in my neck than bones. Marisa and staff. You are my hero's. My care in your hands has always been first. I know we have a long way to go. I really could not imagine trying to get through this without you. AmberLynn at BodyTx is not only the best massage therapist in Fort Sask. but the best anywhere ! She genuinely takes care of you to promote healing and makes you feel like you've *almost* died and gone to heaven (in the best way possible). I can't say enough about how she has helped me with my back issues. Her massages are incredibly relaxing, She hits all of the right spots with the perfect amount of pressure. I feel like I can never thank her enough. I visit her as often as I can and you should too.